Accounts payable and its management is a critical business process through which an entity manages its payable obligations effectively. Accounts payable is the amount owed by an entity to its vendors/suppliers for the goods and services received. To elaborate, once an entity orders goods and receives before making the payment for it, it should record a liability in its books of accounts based on the invoice amount. This short-term liability due to the suppliers, vendors, and others is called accounts payable. Once the payment is made to the vendor for the unpaid purchases, the corresponding amount is reduced from the accounts payable balance. Why are Accounts Payable and its management important? It primarily takes charge of paying the entity’s bills on a timely basis. This is important so that strong credit and long-term relationship with the vendors can be maintained. Only when invoices are paid on time, vendors will ensure an uninterrupted flow of supplies and services; which in turn will help in the systematic flow of business. 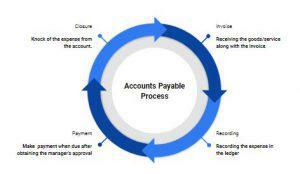 A good accounts payable process ensures there are no overdue charges, penalty or late fees to be paid for the dues. The organized accounts payable process ensures all that the invoices due are tracked and paid properly. This will help avoid missing payments and making a payment twice. Frauds and thefts can be avoided to a greater extent by following a stringent accounts payable process. For a company’s financial statements to be complete and accurate, the accounts payable balances should be recorded with accuracy. These payables must be dealt with efficiently and accurately. If there is a double-entry of an expense or omission of a particular invoice, the financial statements will not report the correct amounts and the loss will be huge when the numbers involved are big. Hence, proper recording of the expense and tracking of the payment is necessary. Every entity will have an accounts payable department and its structure depends upon the size of the business. 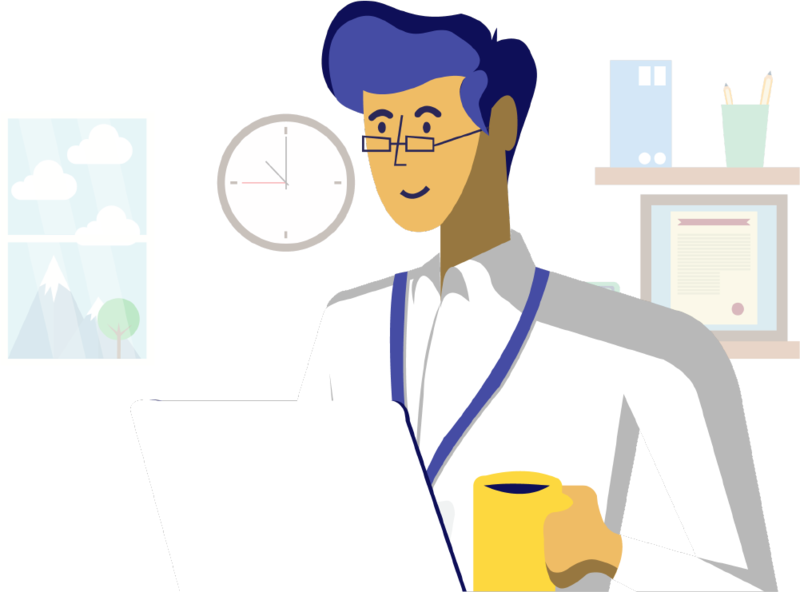 Accounts payable section is set up based on the probable number of vendors & service providers, the volume of the payments that would be processed for a period of time and the nature of reports that would be required by the management. For example, a small entity with less number of purchase transactions would require a basic accounts payable process. In the case of goods, the bill/invoice helps in tracing the number/quantity of goods received. The time for which the bill is valid can also be known when the bill is received on time. The vendor’s name, authorizations, date, and requirements raised with the vendor based on the purchase order can be verified too. Ledger accounts connected to the bills received need to be updated. Here, an expense entry is usually required to be made in the books of accounts. In cases when an accounting software is used, recording some expenses may require managerial approval. The approval will be based on the bill value. As a precautionary step, large companies usually follow the ‘maker and checker’ concept for posting. As and when the due dates arrive (based on a mutual understanding with the vendor/supplier/creditor), the payments need to be processed. Here, the required documents need to be prepared and verified. Details entered on the cheque, vendors bank account details, payment vouchers, the original bill, purchase order/agreement, etc., need to be scrutinized. Often the signature of the authorized person may be required. 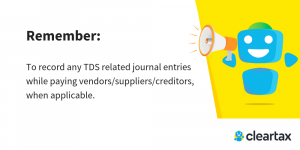 Once the payments are made, the vendors/suppliers/creditors ledger account has to be closed in the books of accounts. This will reduce the liability earlier created. In simpler words, the amount showed as payable, will no longer be seen as a liability. The procedures mentioned above are organization specific. They can be stricter for large companies with more approvals required. However, the basic steps are needed to be considered before payments are made in order to avoid errors and frauds. As the accounts payable process is vital for every organization, a lot of time needs to be invested for its successful implementation. In order to have efficient accounts, payable process automation becomes necessary. This will minimize the time and cost of invoice processing, employee headcount and much more. Automation will also help reduce human errors and increase efficiency. Accounting software available in the market which can streamline the accounts payable process. These eliminate most of the paperwork involved in accounting. Using electronic invoices, scanned copies of reports, email approvals, etc., will not only reduce the time involved in managing the payables but will also improve the day to day performance of the businesses. To add, they usually integrate with the organizations ERP. There are many other value added services which can be availed from this accounting software. They ultimately improve business efficiency.